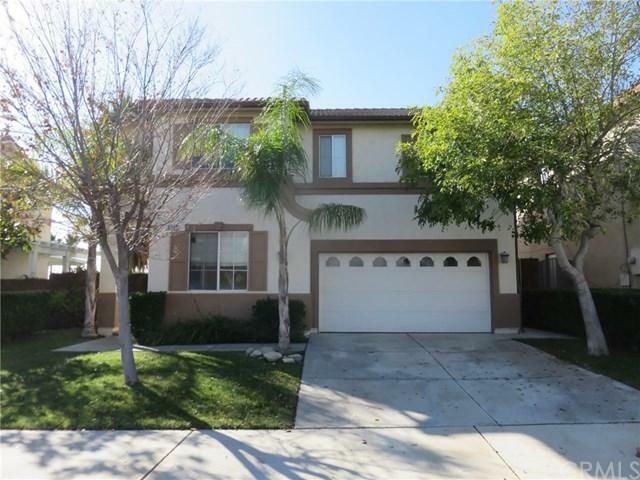 Beautiful 2-story home in Sierra Lake community with golf course view. It features 4 Bedrooms and 2.75 baths (1 Bed and 3/4 Bath downstairs), kitchen with corain counter tops, large master suites with stall shower, tub and 2 walk-in closets, spacious bedrooms, laundry room upstairs, 2-car attached garage direct access. Beautiful 2-story home in Sierra Lake community with golf course view. It features 4 Bedrooms and 2.75 baths (1 Bed and 3/4 Bath downstairs), kitchen with corain counter tops, large master suites with stall shower, tub and 2 walk-in closets, spacious bedrooms, laundry room upstairs, 2-car attached garage direct access. Listing provided courtesy of Pacific Coast Real Estate. Listing information © 2019 San Diego MLS, Inc.